i am so excited to be sharing a few of my favorite things with you for the 3rd year in a row, but even better… i’m giving it all away! 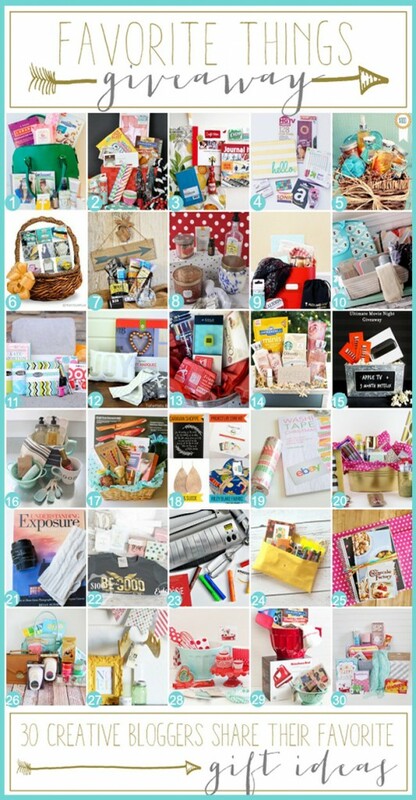 and get this, there’s more: 29 of my creative blogger friends are giving away their favorite things, too! HOP to all of the other sites to enter to win their gifts! look around and enjoy the sites of the creative bloggers–they will not disappoint! there will be 30 WINNERS!!! you must ENTER TO WIN ON EACH BLOG, for the gifts you want most. so you must HOP to each to enter! i got all of my gifts from world market (not sponsored). while anthropologie is one of my favorite stores for fabulous gifts, its a bit out of my price range, and world market has some pretty comparable items that are equally drool-worthy, but at a price that allows you to not only justify buying some gifts, but maybe even some for yourself! if you just can’t handle waiting to see if you win all these goodies, i’m including links below for you to purchase on your own. don’t forget to “hop” to each blog above to enter their giveaways, too! 87 comments for "favorite things giveaway"
do you follow me over on instagram? (i’m @thepleatedpoppy). i just love instagram, it’s my happy place and a great source of inspiration along with the place i find great new bloggers and friends. you can click my profile to see who i’m following too. it’s the best way to find new feeds! find someone you like, and click their profile to see who THEY like. who is your favorite blogger to follow on instagram? i’d love to know! one feed i LOVE to follow is @redletterwords. dee made that Micah print that i have hanging in my home and now she does custom prints! AND today on instagram i get to giveaway a $75 gift certificate to my friend dee’s shop from red letter words. head on over there for more details on how you can enter. and just in case you don’t win, i’ve got a 25% off code for you over on instagram. that’s HUGE! fingers crossed for you! good luck! 3 comments for "instagram is my happy place"